Home | Cordoba Minerals Corp.
Cordoba Minerals Corp. is a Toronto-based mineral exploration company focused on the exploration and acquisition of copper and gold projects in Colombia. 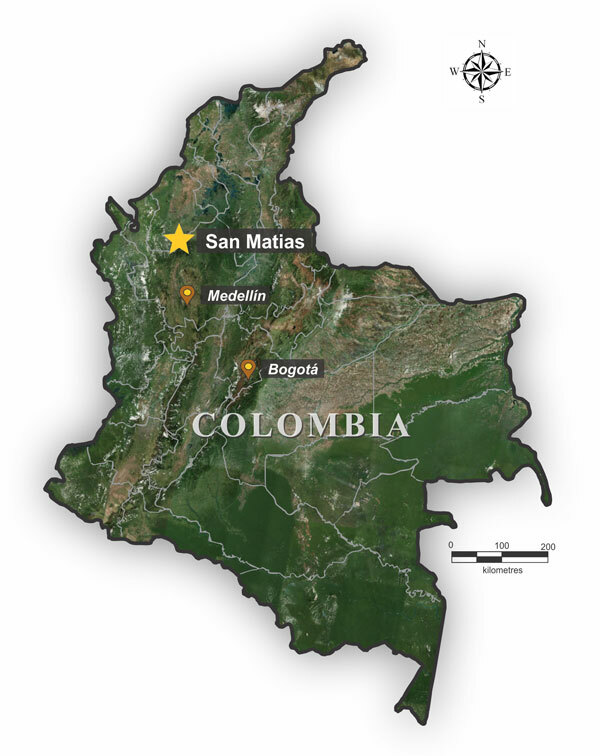 Cordoba is currently focused on its 100%-owned San Matias Copper-Gold Project, which includes the advanced-stage Alacran Deposit, located within the Department of Córdoba, Colombia. In July 2017, Cordoba Minerals acquired a 100% ownership interest in San Matias from High Power Exploration Inc. (“HPX”), a privately owned, metals-focused exploration company led by mining entrepreneur Robert Friedland. HPX owns a 67% interest in Cordoba Minerals. San Matias comprises of a 20,000 hectare land-package and contains several known areas of porphyry copper-gold and iron oxide copper gold, and/or carbonate replacement deposit mineralization and gold veins. The Alacran copper-gold system is located in an area of ideal open pit topography. The project is situated near two operating open pit mines, on the national power grid, and easily accessible to paved national highways and roads.